HAMPTON, Va. (February 7, 2019) - Hampton University will kick off the 41st Annual Conference on the Black Family presented by Optima Health from March 13th – 15th, 2019. ‘Health of the Black Family: How to Add Years to Your Life and Life to Your Years,’ will be this year’s theme presented by the Hampton University School of Nursing. 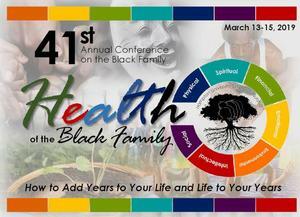 “This is our 41st year of holding The Conference on the Black Family. I initially saw a need for dialogue in the African American community in 1978 and it’s even more prevalent today,” said Hampton University President, Dr. William R. Harvey. This year’s Conference on the Black Family seeks to educate Hampton University and the Hampton Roads community on strengthening the Black Family structure in seven of the nine dimensions of health to include physical, emotional, financial, intellectual, spiritual, environmental, and social. “This year's theme for the Black Family, 'How to Add Years to Your Life and Life to Your Years,' resonates not only with health maintenance information for the community, but also with vibrant activities such as line-dancing. Be prepared to experience the celebration of the Black Family like you have never done before," said Dr. Jackie Sharpe, Chair, Black Family Conference 2019. According to the American Heart Association (AHA, 2019), heart disease and stroke are the leading causes of death for all Americans. More frightening is that the risk of developing heart disease or stroke is higher for African Americans. Likewise, "compared to the general population, African Americans are disproportionately affected by diabetes; 13.2% of all African Americans aged 20 years or older have diagnosed diabetes.” Even more discouraging is that African Americans are 1.7 times more likely to have diabetes (American Diabetes Association, 2014). Obesity and consumption of high fat, sugary foods in growing children increases ones risk of developing heart disease, diabetes and stroke. 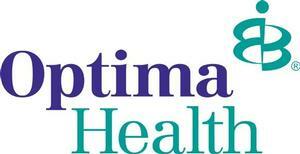 Optima Health will support the event with free, preventive health screenings for community members who attend the event’s health fair on March 15 – no matter whether attendees have university ties or come from the broader community in the City of Hampton or elsewhere on the Peninsula. In particular, blood pressure screenings are relevant to addressing the fact that black Americans in their 20s, 30s, and 40s are more likely to live with or die from health conditions (such as heart disease, stroke, and diabetes) that typically occur at older ages in whites – in part because of risk factors like high blood pressure going unnoticed and untreated. The opening keynote speaker will be Dr. L.D. Britt. The renowned surgeon and health disparities researcher is the Chairman of the Department of Surgery at Eastern Virginia Medical School. Dr. Trenance Williams, a passionate and energetic preacher, teacher, and psalmist is the closing luncheon speaker. Other guest speakers include scholars like Dr. Safiya George, HIV researcher; Attorney Veronica Williams; and Dr. Mack Bonner of the American Diabetes Association. Join us as at our "Home by the Sea,” as we educate and equip participants through renowned keynote speakers, workshops, health screenings, and physical fitness strategies aimed at prolonging life. The Conference will conclude on Friday, March 15th with a health fair including activities such as physical fitness, line dancing, CPR/first aid demonstrations, health screening and so much more! Visit the festival website at http://events.hamptonu.edu/cbf/. For additional information, call 757-727-5654.